At first glance many people guess the Bilby to be a rabbit, and then others believe it is some sort of mouse, but neither is true! The Bilby is actually a marsupial that is most closely related to the bandicoot. 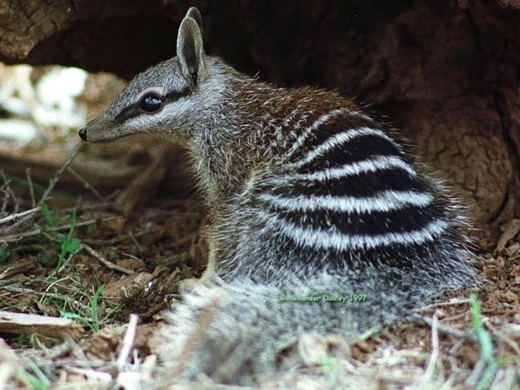 The meaning of the world in an Aboriginal language is “long nosed rat” indicating that more than one person along the way has confused this animal with others, as it really is quite peculiar looking! In some areas of the world Bilbies are known as pinkies. Bilbies are quite interesting to look at, to say the least. They have a pointy muzzle that is not unlike a rat and very long ears, quite like a rabbit. The species usually measures about 29-55 centimeters in length and they have somewhat long tails, big ears, and very soft fur. 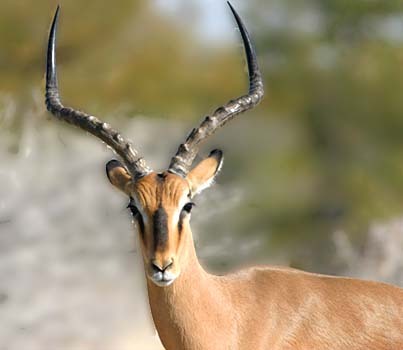 Their large ears allow them to have extraordinary hearing. There used to be two different types of Bilbies in Australia, but one of them has been extinct since the 1950s with the other being available in limited numbers. The loss of the animals is due in large part to habitat loss and just a natural food chain, as the species is in competition for their place in the food chain with a lot of other animals. There is currently a protective plan in place that involves breeding Bilbies in captivity, closely monitoring wild populations, and helping to move the species back into areas where they once lived. The Bilby is an animal that likes to burrow. These animals are typically found in Australia and they create their own system of intricate tunnels. 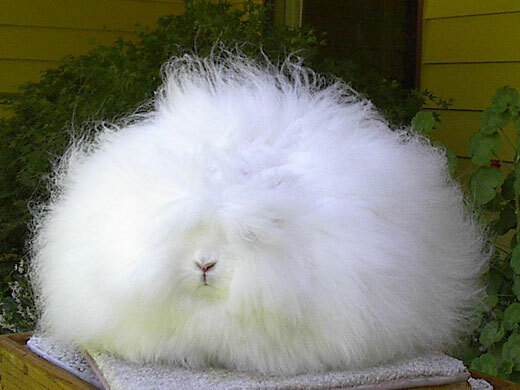 The species is known to make as many as 12 different burrows in his home area and will simply move between them to protect itself from predators as well as heat and cold. This species is generally only seen out and about during the night time hours. Generally the Bilby will not come out of its burrow until an hour after the sun has set and will go back down into their burrows at least an hour before the sun rises. Many conditions are known to keep the Bilby in all day and night and these include strong winds, heavy rains, and even a full moon. The Bilby is quite impressive as it does not need to drink water to stay alive; instead it gets all of the moisture that it needs from what it eats. Their diet generally includes insect larvae, spiders, fruit, fungus, bulbs, and even small animals. The species finds their food by digging in the soil, which the females do backward to avoid getting soil in their pouch, and then using their long tongues to pull the food from the ground. The Bilby has a gestational period that is worth noting, and that is because it is one of the shortest gestational periods of all known mammals. From the onset the gestational period of this mammal is just 12 to 14 days! The species will breed all year long and will have one to three young at a time. The babies remain in the mothers pouch for about 80 days and after this time they are only dependent on their mothers for about two weeks. what is the food chain for the Bilby, ? u cant have a diagram because that would mean i have to do work and i dont like to work. Why are the bilbys endangered? what animails eat the bilbys? Dingoes, wedge-tailed eagles, foxes and feral cats. 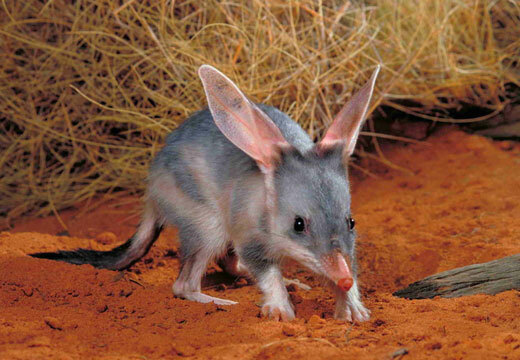 whats the scientifict name for the bilby?? whats the scientific name and wat does that name mean? Somebody stole the first picture on this page and posted it as a wallpaper. Or it might be the other way around? I don’t know, but here’s the link. Flag them if you feel the need. How many species of bilbies are there? There used to be two species of bilby (the Lesser Bilby and the Greater Bilby). 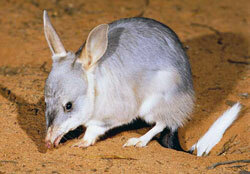 However, the Lesser Bilby is now extinct. i was wondering if anyone knew that food chain for the greater bibly ???? really need it for school.